Dresden (Germany) (AFP) - Unknown just three months ago, Lutz Bachmann is a cook by training with a criminal record who has managed to mobilise thousands of Germans out onto the streets against Islam. He was born in the former communist east German city of Dresden where the contested group he heads, the so-called "Patriotic Europeans Against the Islamisation of the Occident" (PEGIDA), has gained a foothold. Around 500 people took part in the first of what have become weekly marches in the city since October but their numbers have gradually risen to reach 18,000 at last Monday's demonstration. 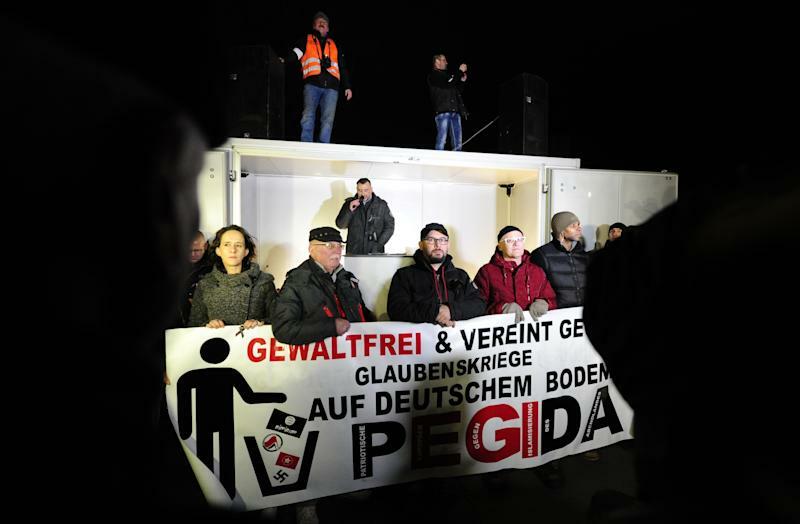 The sudden emergence of the anti-immigrant group has sparked similar spin-off protests elsewhere but has also galvanised counterdemonstrations that in some cities have far outnumbered PEGIDA's supporters. The movement began after violent clashes between Kurds and radical Muslims in the northern city of Hamburg in early October that raised fears of a proxy Syria conflict playing out on German soil. Bachmann, 41, initiated a group on the social networking site Facebook, quickly calling a first gathering in Dresden, the capital of a state that borders Poland and the Czech Republic and whose foreigner population is barely 2.5 percent. He refuses to speak to the media, branded the "lying press" by PEGIDA demonstrators at marches, and he only communicates via his Facebook page which also includes wedding and holiday photos. On it, he says he has several Muslim friends and acknowledges a criminal record that had been widely reported in the press. He was sentenced in 1998 to three and a half years in prison on charges including burglary and theft, fled to South Africa but was deported back to Germany and later convicted of drugs offences. Bachmann, with his imposing square-shouldered frame often dressed in a parka jacket and sporting a greying beard, kicks off his weekly rallying cry to the PEGIDA crowds with a polite "Good evening Dresden". He trained as a cook but has owned a small advertising agency since 1992. Several known neo-Nazis have been spotted in the PEGIDA crowds -- although they are dominated by disenchanted citizens with a string of grievances -- but Bachmann refuses the idea of any teaming-up with the far-right. 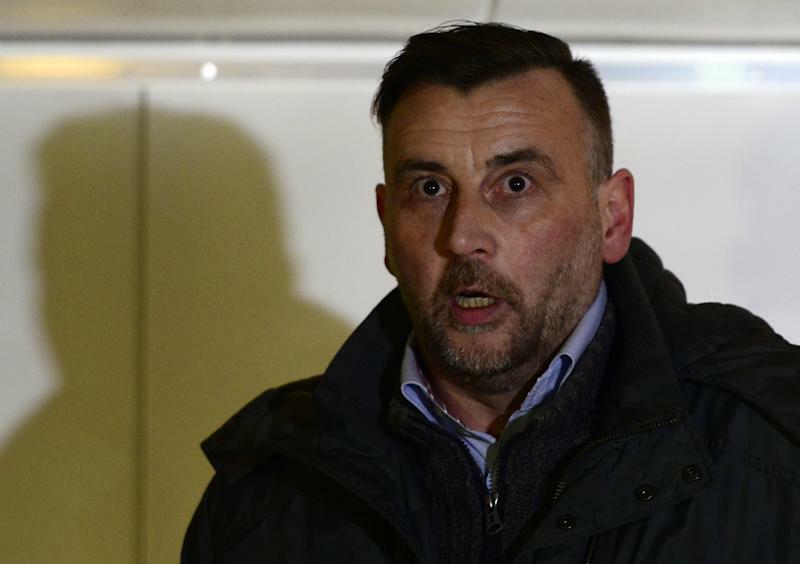 PEGIDA has however held exploratory tentative talks with Germany's anti-euro AfD party. The group says it has no ambitions to become a political party but has published a 19-point manifesto which calls for "zero tolerance towards criminal immigrants and asylum seekers" and says it aims to protect "Judeo-Christian" values. It also urges tolerance for integrated Muslims but opposes "economic refugees" coming to Germany and what it terms "misogynist, violent" ideology.